1) Is this another one of the Pope's opinions that Catholics are free to agree or disagree with, or does this hold the authority to make this the official stance on the death penalty regardless of individual Catholic opinions? It seems the latter to me...but I've been wrong before. This appears to be authoritative. As in, "It is sinful to desire or support the death of a criminal convicted after due process of law." However, this is not a dogmatic statement. This is not a "forever" doctrine. Pope Francis is saying that our current state of culture and technology allows us to control violent persons and keep the public safe -- so there is no longer a moral justification for the death penalty. If our society continues to collapse (God forbid! ), we could find ourselves in a situation where capital punish is morally justified. 2) That highlighted portion up there, the part about how this decision is not in contradiction with prior teachings (where it was once admissible but is now inadmissible) sounds like classic liberalism. Reinterpreting the old teachings in light of the new understanding. This is the virtue of "classical liberalism." I mourn its death, and long for its resurrection. Just to be clear: This is not a new thing in Catholic faith. We have been growing in our objection to capital punishment for generations. 3) What are the major implications that'll spring out of this? Nothing substantial. You might see some bumper stickers that say, "You cannot be Catholic and pro-capital punishment." Surely it must have some effect on the interpretation of Scripture. How is a verse like Romans 13:3-4 now interpreted? I have always thought of this bolded part as, "If you break the law, policemen with guns will arrest you and you will be prosecuted." The sword and the gun are capable of much more than killing -- they are also tools for justice and mercy. Seems like it's not merely an opinion on what kind of authority the State has, but an opinion on what kind of authority the State has been given. That is, it's not merely an opinion that resides with the State, but it ultimately says something about God Himself and how He has chosen to deal out wrath. The image of the sword isn't there to conjure up the idea of a spanking. That sounds reasonable. In Christian cultures, governments are supposed to protectors of our God-given rights and servants of God's justice. The Pope has contradicted the teachings of the Catholic Church on this. 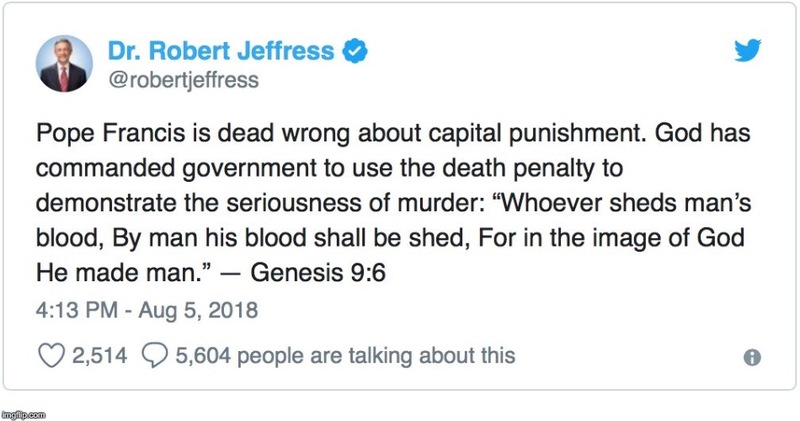 I generally agree with him that the death penalty isn’t necessary today, and probably unhelpful most of the time, but that’s speaking in general terms. There are morally justifiable reasons to support the death penalty. Inmates kill other inmates and even guards sometimes. The stare has the moral right and justification to use the death penalty if it sees fit for such crimes. The Holy Father has overstepped his place here, no doubt about. Then again, maybe he just doesn’t use his words appropriately and doesn’t mean what he specifically said. I don't think that's exactly correct. Firstly, the DP is not intrinsically evil (the Sword being the right and duty of the State). So, there is no change of Church teaching in this regard. Secondly, the Death Penalty is not admissible "in light of the Gospel". I'd say that this second point means that, if one wants to support/strengthen/reintroduce the Death Penalty, one is not going to be able to do it while hiding under a Christianizing fig-leaf. Instead, one will have to come out forthrightly and say, "The Gospel may be good in certain cases, but it doesn't apply here." So, if one wants to admit the DP, one thereby admits a relativization of the Gospel. One reveals one's allegiance, so to speak. In that vein, I'd say that the Gospel inadmissibility of the DP is, practically speaking, "forever". IOW, it is functionally irreversible. Though it is currently neither dogmatic nor infallible, it would seem that it doesn't need to be. And this is because I can't imagine a Catholic ever arguing that the DP is part of the Gospel. I'd like to see the theological treatise arguing that Jesus proclaimed State Execution to be part of the Kingdom! So, whether one tries to argue that the DP is either more or less necessary, one can never argue that it is Gospel. In the practical order, the seeming effect will be to deny the Christian character of any attempts (The Mike Pencian and Robert Jeffressian types? Up and coming Alt-Left theocrats, maybe?) to build a "godly nation" topped off with the glorious capstone of the Death Penalty. OTOH, it will also deny these selfsame attempts when they are transposed to a Globalizing impulse. Any dreams of a World Court which capitally executes the sanctimonious Judgement of History is preemptively undermined. Executions of World Criminals such as Hitler & co., Tin-Pot dictators, and others who offend against the "moral arc of the Universe" are not the signs and building-blocks of the coming Kingdom. So on the one hand, Catholics are encouraged to engage these movements and to encourage their legitimate aspirations. And on the other hand — and this seems to be the blessed liberation bestowed by the revision of the Catechism — they are prevented from being appropriated by these movements as mere means to an end. If they insist upon being so appropriated, they won't be able to do it under the aegis of the Gospel. This sort of sleight-of-hand has been definitively exposed for what it is: pure worldly concern. So, I would say that the Pope has, in one stroke, both distanced the Church from these utopianizing power-plays and definitively put-to-rest (if they'd not been put-to-rest already) any conspiracy-theories of the Papacy being in league with totalistic Statism of any form, whether Nationalist or Globalist. 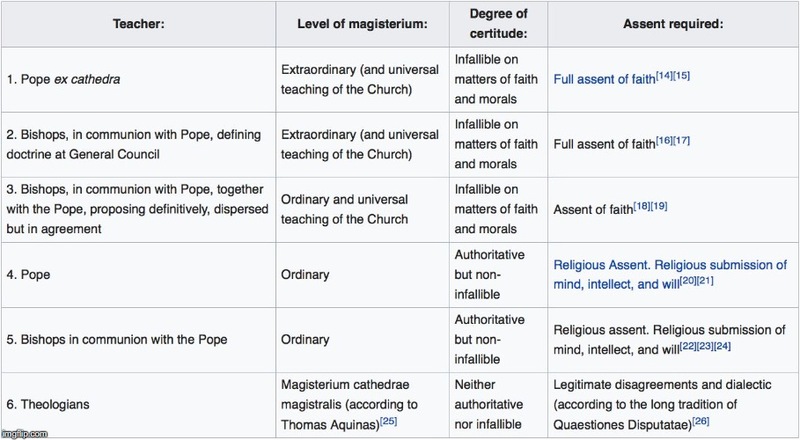 The Church will never sign-on to these totalisms. The Pope will never be the false-prophet preparing the sheeple to be handed over, under a Christian banner, to the absolute State. Whether the Vatican generously works with the ethnonational aspirations of local leaders or with cosmopolitan dreams of U.N. bureaucrats in realizing more-just international norms, the Pope has unequivocally denied the Church's imprimatur to any attempt to grasp the infinite — to any drive to enthrone the god-emperor — through institutionalizing = the ultimate power over life & death. Instead, the Pope will always be there to stand guard between mankind and the men-of-power. Various governmental forms, both national or global, will perpetually wax-and-wane, while the Church will ever be there to nurture, temper, and outlive them. The death penalty can be argued “in light of the Gospel” through the state’s responsibility to protect the common good. The proclamation of this Pope on this issue is pitting church against state rather than drawing the two together in prudence. Unless of course one believes the “common good” is of no concern of the Gospel. I've thought of this. But I believe that, though an argument may well be mounted, I don't believe that Banishment from the Human Community — Expulsion from Existence — will ever be theoretically sustainable by appeal to the Common Good. Killing, in general? Yeah. Killing in self-defense, killing in in war, etc. The Church puts up with these for the Common Good. The evil of the day is sufficient, and all that jazz. But formalized State Execution? I doubt it. 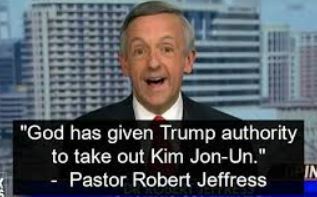 The DP is continually framed in terms of appeal to a sort of purified, reified, personified Justice, as in Jeffress's tweet. The DP has always represented something of a "limit-concept made to be real", with the State acting as the role of the enfleshed god, bringing the fire of judgement and sword. Justice (Dike, on the left) and Divine Vengeance (Nemesis, right) are pursuing the criminal murderer. I simply don't see the sort of natural-hunger to chase after this "limit-concept" as ever being theoretically supportable by a simple, practical appeal to the Common Good. Supportable by the hunger for Justice? Yes. Such hunger represents an understandable and even legitimate yearning. But one which is defused by the "light of the Gospel". Now, all that being said, I could be wrong. I'm not quite as confident with my reading as I was in my reading of Amoris Laetitia (which turned out to be the generally accepted reading, BTW). But I'm fairly confident. So, it could be reversed. Those who "hunger and thirst for Justice", but who are not filled by the "light of the Gospel" may try to reverse it. But I doubt it. It will be a hard row to hoe. I am extremely pro-capital punishment. This story released today is a great reason we need capital punishment. Spoiler: She only got 12 flippin years. That is in Germany. They are pretty far down the road of believing that sexual deviance is not a big deal. After children are long established as a sort of property that can be purchased when wanted and discarded when unwanted, 12 years is plenty to balance this sort of abuse. They have a program of "preventative detention," which is their equivalent of "life without parole." wosbald wrote: The principles involved are .... the Death Penalty is not admissible "in light of the Gospel". Just for a moment let's leave the Pope's DP comments to the side. We'll come back later to pick it up. When I say "classic liberalism" I'm speaking of, not a growing understanding of a concept, but a changing of positions based on a removal of a traditional and/or original interpretation. Liberalism has done this with the Bible for a long time. When Paul says "I do not permit a woman to teach or to assume authority over a man", a liberal argument for women priests/pastors goes something like this: "Well, Paul was speaking to people in his day and age and his social context, but such thinking today is extreme so therefore, because of our own social context in which we value women more in our century than in Paul's century, we ought to no longer restrict women from pastoral leadership. And doesn't the gospel require us to view each other equally under Christ? There is neither male nor female, etc, but all are one in Christ. In light of the gospel and in our social context, the Scriptures ought to no longer be interpreted in the old way." So let's pick up the Pope's decision on the death penalty again. When I look at his comments, I see no real difference between what he's saying about the death penalty, and what liberals/feminists have been trying to do with their interpretations of male pastoral leadership. Now, if the Pope thinks the DP is a bad idea, or thinks that, in our day and age the DP has gone beyond the bounds of the authority granted to the State by God (an absolutely justifiable position to hold), then that is one thing. But it is wholly another thing to say that this decision is not in contradiction with the prior teachings of the church and that the Death Penalty is inadmissible "in light of the Gospel". If it is not in contradiction with the prior teachings of the church and it is inadmissible in light of the Gospel, then how are we to reconcile the execution of, say, Jan Hus when the Church and State condemned him to death by fire? a) If the death penalty is inadmissible in light of the Gospel, were the Church and State in that day acting in opposition to the gospel? b) And if so, how is such a teaching (burnin' heretics) now not in contradiction with the DP being inadmissible? But if the Church and State were not in opposition to the gospel in their execution of Jan Hus, then I can't see how the Pope's decision makes sense apart from it being a liberal (as described above) interpretation. Last edited by tuttle on Wed Aug 08, 2018 9:40 am, edited 1 time in total. You have decided to relativize the Gospel. To lay the Gospel aside, at least in certain cases, in your pursuit of Justice. You have a different Gospel. Regardless, that's something that you'll have to work out at your appointed time. Either that, or come to the Church and work it out before your appointment. Saint John Paul the Great issued a repentant apology of the Catholic Church for the sin of executing Jan Huss. But if the Church and State were not in opposition to the gospel in their execution of heretics, then I can't see how the Pope's decision makes sense apart from it being a liberal interpretation. Now, I may have honestly missed a Pope or the Church at some point apologizing for all the heretics who suffered the death penalty, and if that's the case, I'll walk back my questions. NOTE: The word "sin" is not in PPJP2's address. I'd be wary of Del: The Facile Vassal's easy-breezy characterizations. Being "opposed" or "contrary" (not "contradictory") to the Gospel — being inadmissible" in its light — does not necessarily translate to "sin". Some heretics were also leaders of militant mobs, so it becomes difficult to separate their heretical preaching from their murderous acts. Let's put those cases aside for a moment. In most cases, such as the Spanish Inquisition, accused persons begged to be tried by Church courts -- because the penalties were less severe than the civil courts, and death sentences were often done in effigy(!). But the Church and the State were so intertwined that we can't really absolve one and blame the other. St. John Paul the Great made several apologies for the sins of the Church in past centuries... Including Galileo, the execution of some Protestants for heresy, and the sack of Constantinople during the 4th Crusade (We were supposed to rescue them from a Muslim siege, but the Latin generals then took the city because the Orthodox were "heretics"). And by "apology," we mean "confessing our sin and begging forgiveness from God." 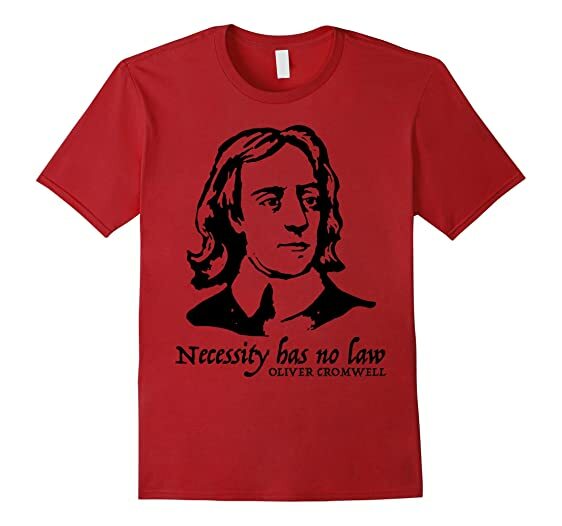 So no one should celebrate Oliver Cromwell -- just as no one should celebrate Che Guevara. 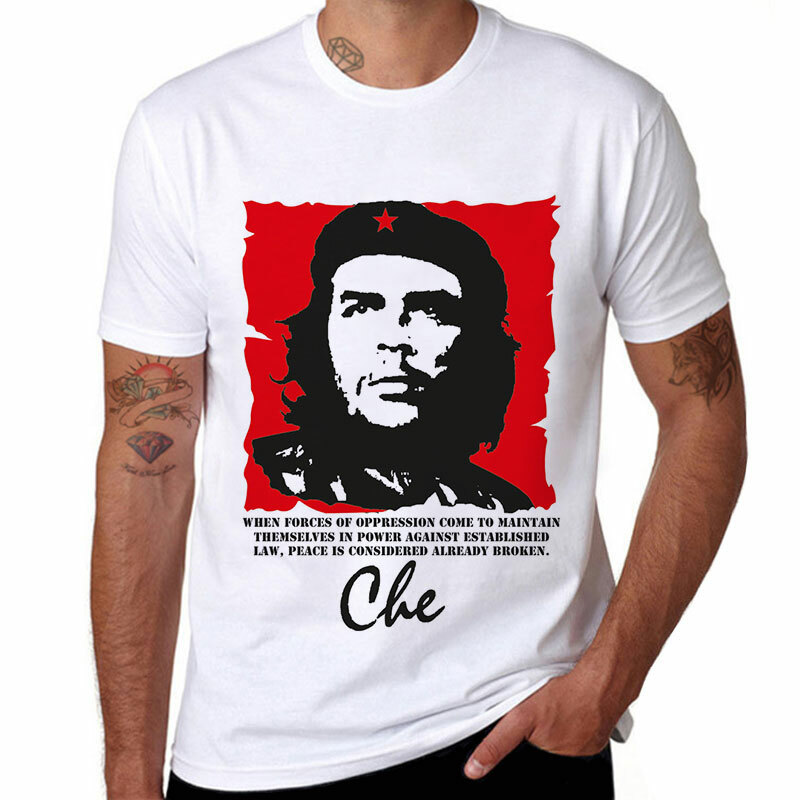 They were mass murdering religious zealots, and only persons who are wholly ignorant of history would dare to wear them on t-shirts. But Pope Francis is not talking about the Church/State-sanctioned murder of innocent persons in past history. He is talking about the killing of guilty persons, justly convicted after due process of law. He says that this must end now. The first principle is that a Christian cannot seek vengeance against the convict, no matter how terrible the crime was. Desiring revenge is a sin of its own. As much as we want to hang Nazi war criminals or parents who sell out their children to pedophiles, that is not what the Bible allows. 2) Isolating dangerous convicts so that they do not harm more innocent people. Pope Francis is saying that we can no longer justify the death penalty -- because we can accomplish these goals (to the best of our ability) without having to kill anyone. Meh. Judge for yourself, case by case. People have sinned in the name of the Church. It is scandal, yet the Church remains the spotless Bride of Christ. You hit closer to my point in the second half of your response. I was sloppy in conveying what was on my mind. I wasn't necessarily trying to slam the Roman Catholic Church for executing people, but rather looking at a time when the Catholic church approved of the death penalty. I have a hard time rectifying the claim that the DP is inadmissible now and is not in contradiction with the Church's teachings then. Some Christian ethical rules are absolute. But most ethical solutions depend on the facts of the situation. For example, War is always a terrible thing. But sometimes the situation demands War as the just and ethical response of a nation for the protection of its people. Thus we have a "Just War" theology. So Francis is saying that capital punishment, while terrible, can still be just under some circumstances..... but we don't find ourselves under those circumstances in this age. Our fear (in this age of infanticide and assisted suicide) is that secular governments might find it convenient to reduce their imprisoned populations by a more enthusiastic application of the death penalty. Such spectacle might even be televised, for the edification of the masses. And the ratings are good. Last edited by Del on Thu Aug 09, 2018 11:52 am, edited 1 time in total. So … you're saying that Gospel sometimes "admits" State Execution? And sometimes not? That the "light of the Gospel" — that which the Gospel admits into the Kingdom and that which is "inadmissible" through its Bronze Doors — is relative to the needs of the Age? Methinks sustaining that reading will be bad bombin'. Our fear (in this age of abortion and assisted suicide) is that secular governments might find it convenient to reduce their imprisoned populations by a more enthusiastic application of the death penalty. Such spectacle might even be televised, for the edification of the masses. And the ratings are good. Don't take my questioning as being opposed to what you've put forward, or being unable to understand it, I'm not necessarily unsympathetic to the aims, I'm more concerned about the means. I still haven't heard a convincing argument that tells me how the Pope's decision jives with the Church's teaching in the past, especially how it jives with Paul's admission that the State has the God given authority to wield the sword against evildoers. To say the DP is inadmissible and that such a statement isn't conflicting with the teachings of the past seem out of step to me and so much like modern liberal reasoning that it gives me bewildered pause. Is the authority granted to the State/Kings/Rulers to wield the sword against evildoers a) the gospel b) to be used for the advancement of the kingdom? I'd answer "no" to both of those, and point to the Scriptures for my evidence, especially as it was given as a warning/admonition to believers to submit to and pray for the authorities.